The Ottawa School of Ukrainian Dance is holding an Open House on Sunday, February 10th! Visit our 4 studios between 2 and 6:15pm to see various classes in progress. Drop in to see our youngest - check out our adult class - each class is unique and fun, and all classes and teachers will be happy to welcome you as guests! Sunday, December 16th is the Ottawa School of Ukrainian Dance's annual Winter Celebration! All OSUD students will gather from 2 to 3:45 p.m. at The School of Dance to participate in our holiday tradition. Parents, family and friends are invited to join OSUD students in the studio for brief, spotlight, class performances and dances by Ottawa's own Svitanok Dance Ensemble. This year's Winter Celebration will also mark the debut performance of OSUD's new School ensemble, Molodtsi! The general public is welcome with admission by donation. Join us to celebrate a successful first term with the Ottawa School of Ukrainian Dance! 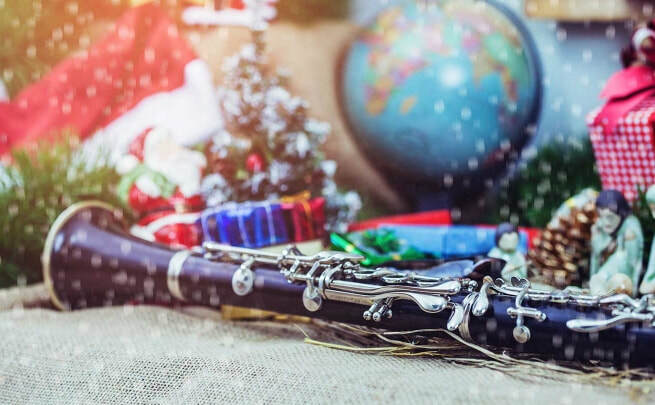 The Svitanok Ensemble is excited to perform at the National Arts Centre on December 8th and 9th with the NAC Orchestra in "Holiday Traditions Around the World!" Both shows will take place on the Southam Hall stage at 2:30pm. ​Please access the NAC webpage for tickets and more information. NEW OSUD preparatory ensemble - Molodtsi! NEW in the Ottawa School of Ukrainian Dance this year - MOLODTSI! This young, preparatory ensemble will provide additional training to School students from the Intermediate level on up. The focus will be on choreography and performance, with performing opportunities throughout the year. Register today for this exciting 40th anniversary initiative! 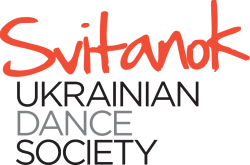 Registration for the Ottawa School of Ukrainian Dance is now open! Fun and engaging Ukrainian dance classes for students of all ages and levels. Early bird discount until August 17th. Register now for our 40th anniversary season! The Svitanok Ensemble will be performing at this year's Capital Ukrainian Festival on Friday, July 20th and Saturday, July 21st! Come see us onstage on the grounds of St. John the Baptist Ukrainian Catholic Shrine (952 Green Valley Crescent). 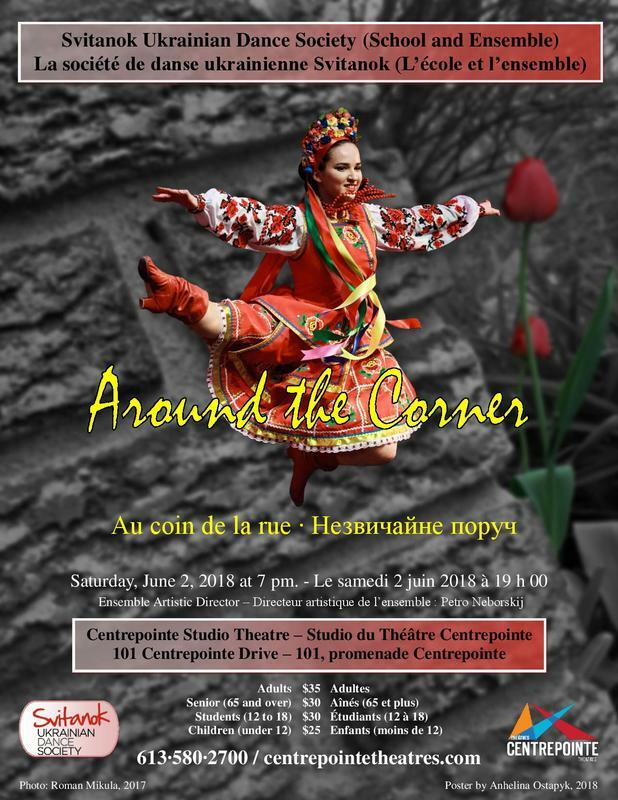 Featuring the Ottawa School of Ukrainian Dance with guest performances by the Svitanok Ensemble and other surprise artists! A yoga session (no knowledge or experience required!) focused on body and mind led by Dr. Tatyana Lachowich, a traditionally-trained yoga teacher and the CEO/creator of Urban Panda Health and Wellness, an Ottawa company created to help decrease chemical, physical and emotional stressors in the lives of families through health seminars, yoga classes, and stress reduction workshops. Dr. Lachowich holds a Bachelor of Science honours degree with a focus in human kinetics and a Doctor of Chiropractic degree. A presentation focused on "Increasing Energy and Stamina with Nutrition" led by Andrea Bartels, a registered nutritional therapist and natural nutrition coach practitioner. Ms. Bartels is an award-winning clinical nutritionist and has been a trainer of nutritional professionals for more than 15 years. Learn how to sidestep the energy fluctuations that can occur with unbalanced nutrition. Learn key nutrition concepts that support stamina during endurance exercise. Obtain easy and nutrient-dense snack and meal ideas to fuel your practice and performance. Light and healthy refreshments will be served to close out the session in a social setting. Register early to avoid disappointment; space is limited! Come join the Svitanok Ensemble at its open rehearsal! Watch and get a feel of what it's really like in the studio - get a behind-the-scenes glimpse into all that goes into practicing and preparing for performance. Warm-ups, technique, tricks, solos, character, and choreography! Afterwards, stay for refreshments and entertainment at our Donor Reception where the Svitanok Society recognizes and shows its great appreciation for all of its donors. Our donors provide us with huge support and allow us to continue to share our passion for Ukrainian dance. Open Rehearsal: Free of charge and open to all! 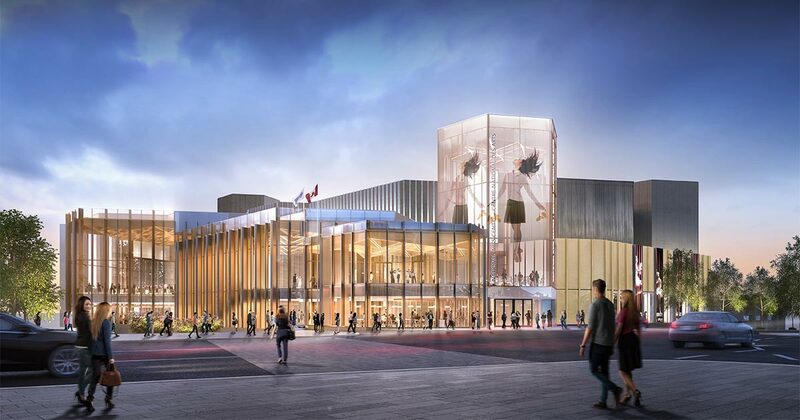 On January 13th, the Svitanok Ensemble will be performing in the National Arts Centre's newly-renovated lobby as part of the Family Adventures with the NAC Orchestra concert series. This series features pre- and post-concert activities, also known as “TUNETOWN” (or “DORÉMIVILLE” in French). Catch our shows at 12:45 and 2:45pm! They are free and open to the public. In between, the NAC Orchestra and Enchantment Theatre Company perform The Firebird in Southam Hall.